First, you will need to download this Lion Helper FILE onto your Desktop. 1. 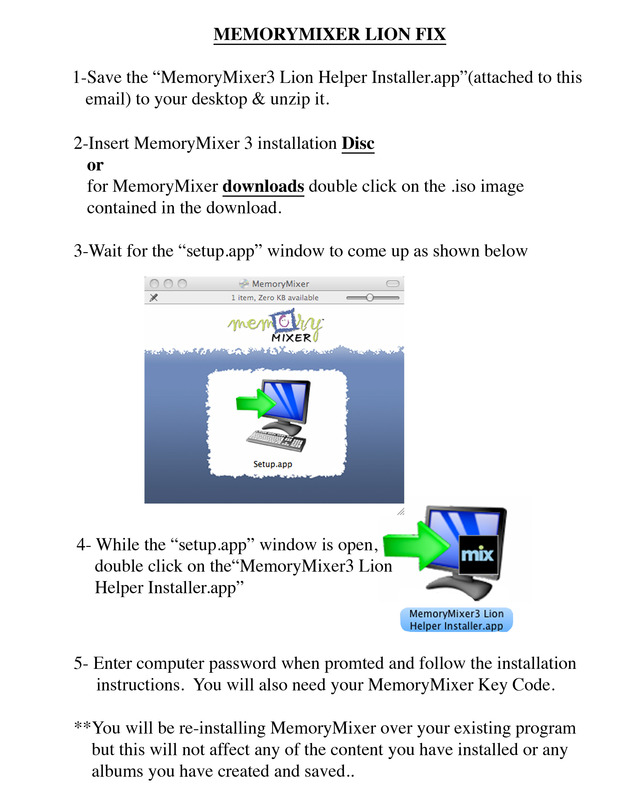 Save the MM Lion Helper installer.app (when you click on the blue FILE link above). 2. Insert the MM installation Disc or double click on the iso image contained in the download. 3. Wait for the "setup.app" window to come up as show below 4. While the "setup.app" window is open, double click on the "MM Lion helper Installer.app" 5. Enter computer password when prompted and follow the installation instructions. You will also need you Photo Jurni key code. ** Next re-install Photo Jurni over your existing program, this will not affect any of the content you have installed or any albums you have created and saved..